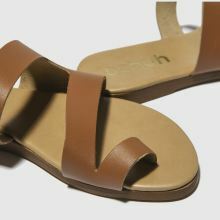 Slip-on style and comfort with this new season schuh sandal and give your summer looks a classy feel from day to night. 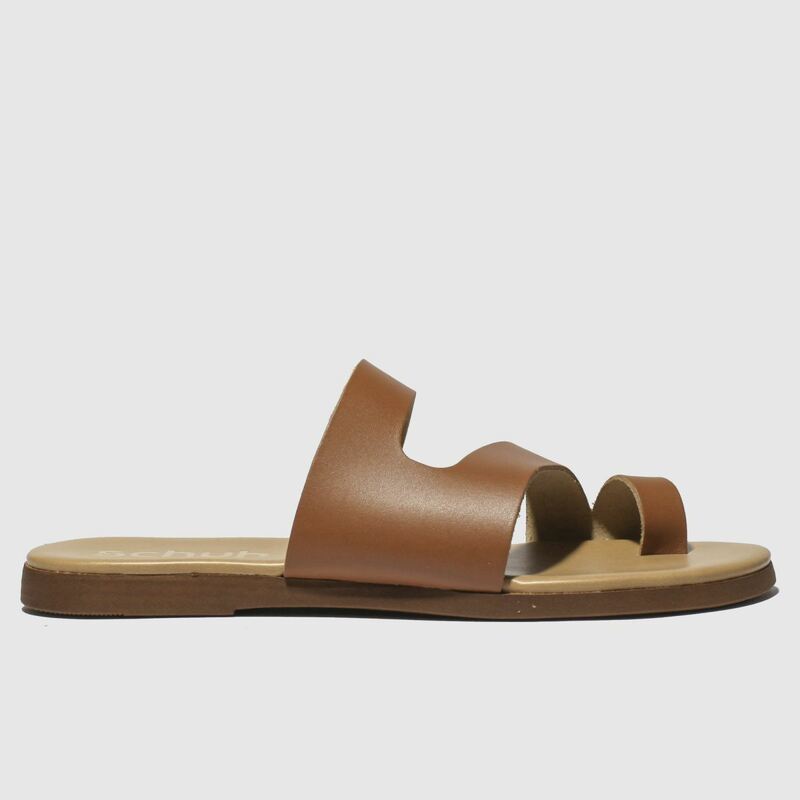 The minimal Corsica boasts a thick tan leather foot strap with asymmetric cut-outs for an interesting finish. 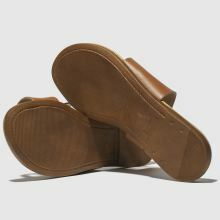 A soft footbed completes.